In the wake of the Panama Papers expose, the Central Business District-based, Dölberg Fiduciary Botswana, (formally known Turnstone Corporate Botswana) brazenly solidified its connections with the discredited law firm by using it to channel money offshore and registering companies in jurisdictions believed to be tax havens. This is revealed in a new leak by International Consortium of Investigative Journalism and Süddeutsche Zeitung and shared with INK Centre. 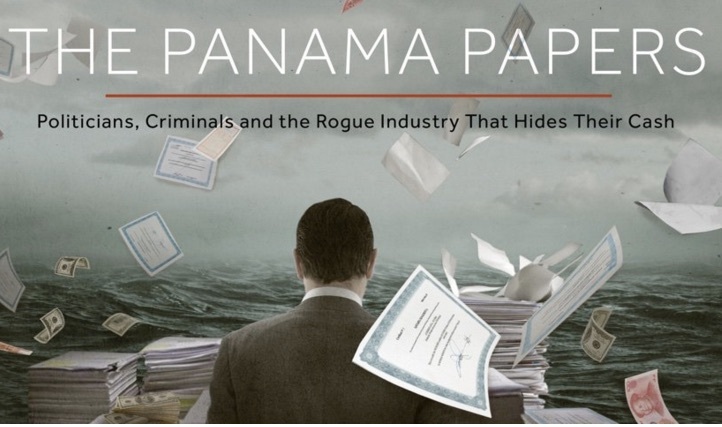 Documents show that by the time the Panama Papers were published, Turnstone Corporate Botswana had used the law firm to channel funds to various tax havens around the world. Turnstone was incorporated in Botswana on August 16, 2011, and later changed its name to Dölberg Fiduciary Botswana on October 18, 2016, six months after the first Panama Papers stories were published. The name may have changed, but not the company’s modus operandi as it continued with Mossack Fonseca as its agent in several of its significant dealings. A few months after registering Dölberg Fiduciary Botswana, the company moved to register a holding company in Seychelles, and Mossack Fonseca was available to assist. On March 2, 2017, Dölberg trust administrator Ipeleng Matheo wrote to MF seeking their assistance with setting up an offshore company. The company’s inaugural minutes dated May 2, 2018, show the complex structure of offshore operations. 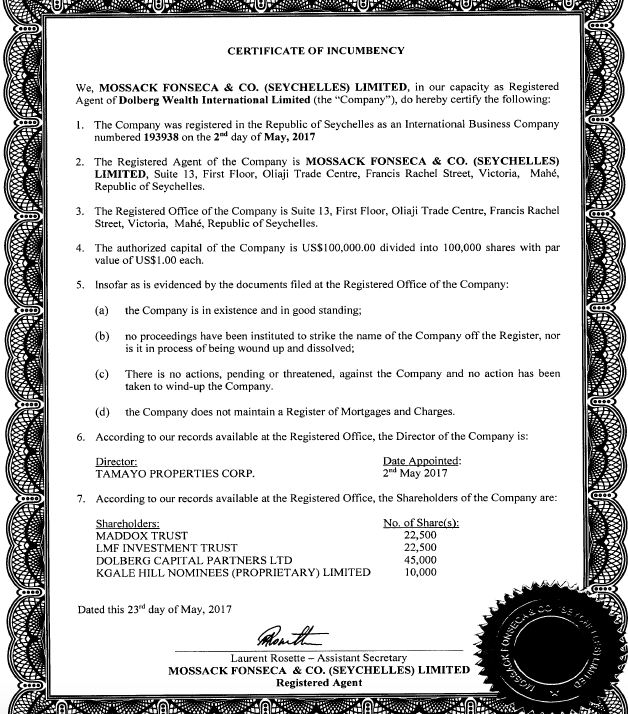 The minutes show that Mossack Fonseca (Seychelles) would be the company’s registered agent, while Tamayo Properties Corporation was appointed the company’s director. The companies’ shareholders were presented as Maddox Trust, LMF Investment Trust, Dölberg Capital Partners Limited and Kgale Hill Nominees. The beneficial owners of the company were Marius de Kock representing Maddox Trust, with ordinary shares of 22 500 shares with a par value of $1. Basil Leslie Forssman, representing LMF Trust with ordinary shares of 22 500 with a par value of $1. Ferdinand Heinrich Odendaal representing Dölberg Capital Partners with 45 000 of ordinary shares with a par value of $1. Christopher Roy Garland, with ordinary shares of 10 000 with a par value of $1. The company was initially incorporated at $50 000, but the amount was later increased to $100 000 divided into 100 000 shares a few days later. In the MF’s Source of Funds/Declaration of Wealth Form the beneficial owners did not specify where the funds were coming from. The emails show that in 2015 Turnstone Corporate Botswana (now Dölberg Fiduciary Botswana) used another firm, Overseas Management Company, to register a property company, Tamayo Properties Corp in Seychelles. According to the company’s certificate of incumbency, Turnstone was both director and major shareholder in the company. The authorized capital of the company was $100 000 divided into 100 000 shares with par value of $1. In a sign of confidence in the controversial and discredited law firm, in January 2017, Dölberg Fiduciary Botswana dumped Overseas Management Company as registered agents in favor of Mossack Fonseca. 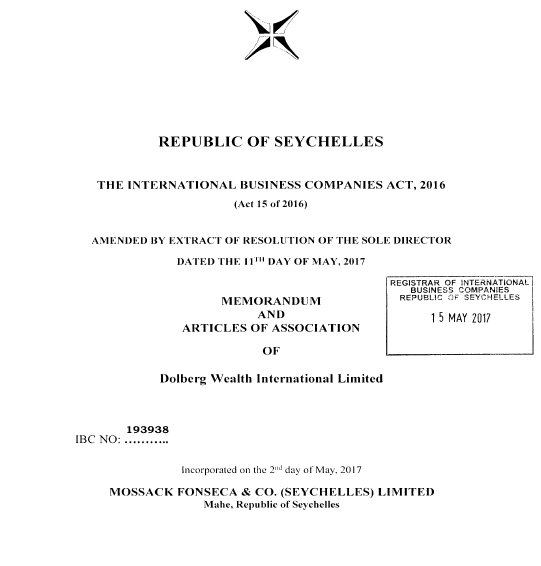 “We the undersigned, Dölberg Fiduciary (Botswana) (Proprietary) Limited, being the sole director of the Company, do hereby set down the following on record: That the Registered Agent of the Company be changed to MOSSACK FONSECA & CO. (SEYCHELLES) LIMITED… (sic),” read a resolution passed by Basil Leslie Forssman on behalf of Dölberg Fiduciary Botswana. Dölberg Fiduciary (Botswana) helped companies both in Botswana and outside the country, to channel their money offshore through the help of Mossack Fonseca. Hundreds of emails communications studied by INK Centre for Investigative Journalism shows that as a fiduciary company, it not only assisted companies to register offshore operations, they held directorship and shares for wealthy businesspersons. For example, on May 26, 2017, the company assisted Eurasaf Trading Limited to incorporate in Seychelles and held directorship on behalf of shareholders Jodian and Cicero Trusts. The company invested ‘business profits’ from ‘import and export of products to and from South Africa’. While insisting that Dölberg has not done anything wrong the company’s director Christopher Garland does not answer why Dölberg continued using Mossack Fonseca even after it was exposed for assisting individuals and companies to evade taxes. In a statement, he says that while the company worked closely with Mossack Fonseca in Seychelles, it had not had direct dealings with Mossack Fonseca in Panama. Records show, however, that both companies are the same.